Is work life balance a real thing? 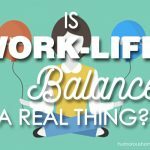 Is work-life balance a real thing? 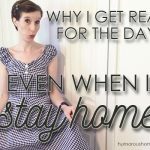 As homemakers, whether we work inside the home or outside the home, the work-life balance struggle is real. It’s something that y’all ask about quite often. For years, I struggled to find that balance, I have read books, listened to podcasts, and done research online. I was trying to determine if am I giving enough to my family, my work, my friends, my church, my neighbors and my community, and myself, personally? And you know what? I always ended feeling defeated. I felt like I was bashing my head against the wall. Like a total, complete, utter failure. What even is work/life balance? I need to give a disclaimer here: my oldest child is eight. That means, I am coming at this teaching kids to do chores thing from a different perspective than someone who has fully grown kids and grandkids. I hesitate to talk about this because people are aways like, how does she even know? Her kids are all little – what does she know about teaching kids to do chores? I have been taught, and have learned things over the years, from a couple of mentors who are far ahead of me in this journey, and have offered me advice and help. Some are mentors that I know, some are mentors who I wish I knew in person, but even more are mentors in my head, in books, and on the internet. I haven’t invented this idea about teaching kids to do chores on my own. And I don’t think that I am the smartest women in the world. I’ll admit that I thought I was pretty smart until I had children…and then I realized I was pretty dumb indeed. 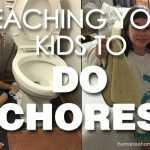 What are my tips and secrets for teaching kids to do chores? 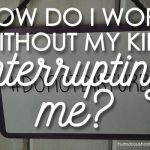 How Do I Work Without My Kids Interrupting Me? The answer is simple, y’all… You don’t. Nobody does. But I don’t let those interruptions keep me from getting my work done! What I do, is plan my day knowing that there will be interruptions. I know from the moment I wake up, there will be poop, fights, screaming and/or crying at some point in the day. How do I handle it? How do I get work done when this keeps happening? I just go with it. If I am baking on Kitchen Day and one of my kids starts hollering for Mom, as long as no one is injured, I will keep on doing what I’m doing. I’ll say, “Hold on, and I’ll be right there when I get to a stopping point.” I may say this 10 times while making one batch of Bacon Cheese Muffins. People ask me all the time why I get ready for the day even when I’m just going to stay home. Before I dive in to my answer, let me just say that for some reason this topic is a touchy subject to some women. I don’t know why, but let me be the first to say, I am not trying to offend anyone! This is my take on the topic and it’s worth what you pay for it. Which is funny, because it’s free. You pay nothing for this gem. Why do I get ready for the day even when I am just staying home? Do you ever feel like nobody else is helping in your home? You have to cook, clean, do laundry and more, but you literally feel all alone…so alone, that you’re not sure how to proceed. 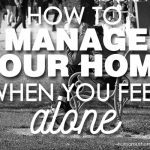 How do you manage your home when you feel all alone? When Annie was first born, Barry and I came up with a really simple idea for how to celebrate our kids’ birthdays: The Birthday Crown! I know I’ve talked about it already on social media, but I thought a formal post about it may be helpful as well. Barry and I decided that whoever in our family was celebrating a birthday would get to wear a birthday crown and would be our King or Queen for the day. There are a few moments in time permanently etched in my memory. This was one of those moments. Annie and I were at her eye doctor appointment. I was doing my normal thang – using my cell phone, looking important, getting so many things done while waiting on that doctor that takes fooooooooooooooorever. Annie was talking with me about something, but I obviously was NOT paying attention. She was nervous, but I had things to do, man. I had a “Come to Jesus” moment. 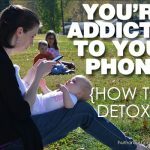 Sitting on my couch, holding my phone and sending emotionally crazy texts to my husband and my friends Karen and Melanie – I felt like I was losing it. 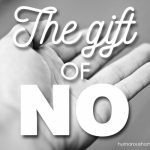 But what I didn’t realize – I was about to learn the gift of no. If something didn’t change, I had a first class ticket to Crazytown…and it was a one-way ticket. 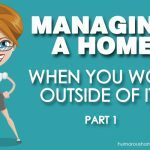 I’m so excited to let you guys listen to my conversation with Angela Coffman today about managing a home when you work outside of it. She’s the mastermind behind The Grocery Shrink. Angela worked outside the home many years as a school teacher. 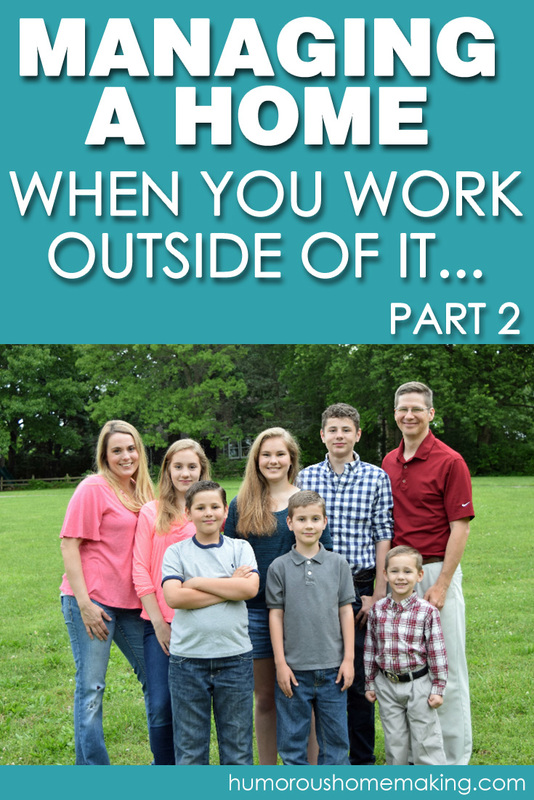 She has 6 children, so she has a lot of wisdom for us – peppered with lots of grace on managing a home. I hope you enjoy our conversation. If you have any questions for either of us, please leave them in the comments and we’ll get back to ya! There’s less mess when you’re not home all the time. So, that’s helpful. You can develop habits that help you maintain your home. Example – clean up messes immediately. Invite people over to give yourself a reason to clean. Ha! If you struggle with meal planning, concentrate on the main dish – and keep easy sides on hand all the time to add to it at the last minute. Example: applesauce, cottage cheese, tossed salad. Three most important things to manage a home when you’re gone: meal plan, pick up immediately, have reasonable expectations for yourself. If you work, let go of outside expectations on yourself. You might not have the time. If you want to sign up for Angela’s meal planning service, she is giving half off to Humorous Homemaking readers, making it only $5/month. If you’re struggling with planning meals, this is a great option for you. Eating at home will save you a lot of money and also gives you the opportunity to spend quality time with your peeps. Discount available through 9/16. If you missed part one of our conversation with Sonja of Practical Stewardship, you can listen to that HERE. I still believe dedicating certain days to certain tasks can work for you. It will take some tweaking on your part, but I think you can make it work and get your home under control.